Like Michael Phelps, member #35 keeps shattering his own records. What took him 5 months to achieve last year took only 2 months this year. This is not an alternative fact — in 61 days he has consumed 200 beers! 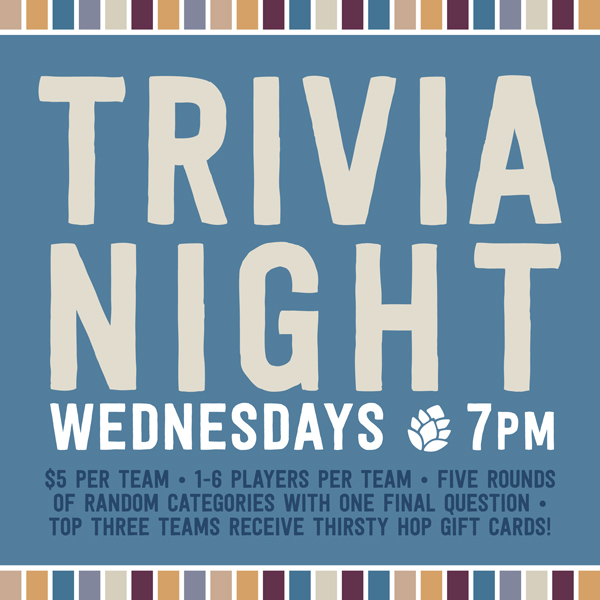 Who will be the next bicentenary member — #48, #64, #66? The race for the #2 spot is anybody’s race. Check out the charts below for the full standings through July 31, 2017. 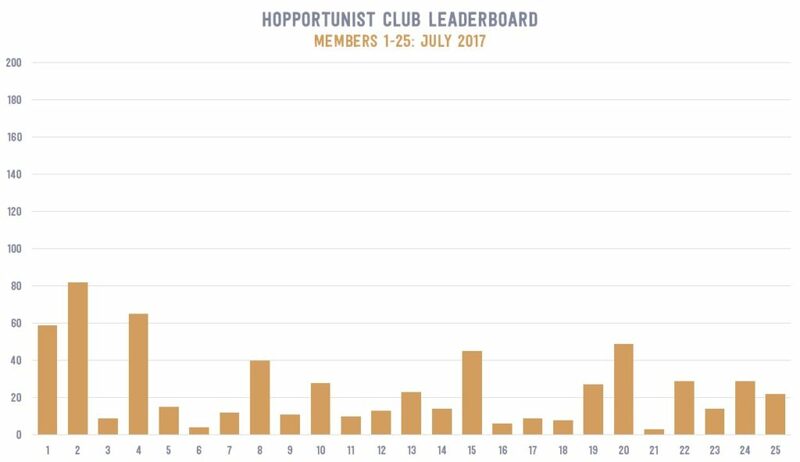 We’re only two months in and members have already saved an average of over $30 with their membership discounts. 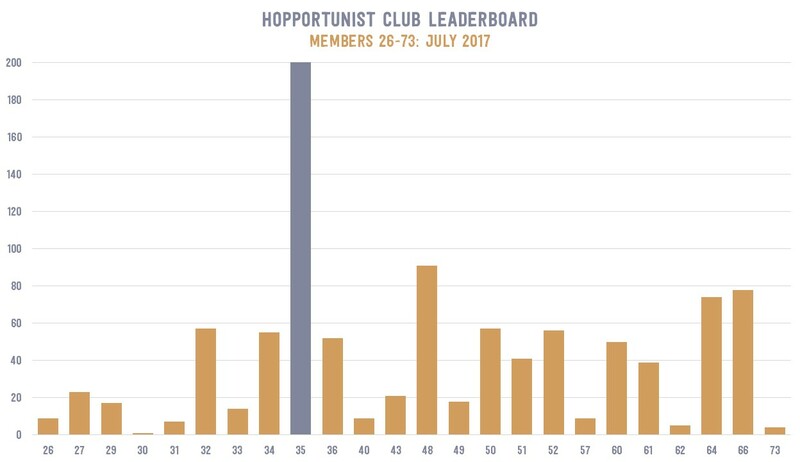 That equates to 1/3 of the membership fee to become a Hopportunist! For the data geeks among you, click the embedded workbook to interact with the savings data and see all of the beers you have imbibed in thus far.